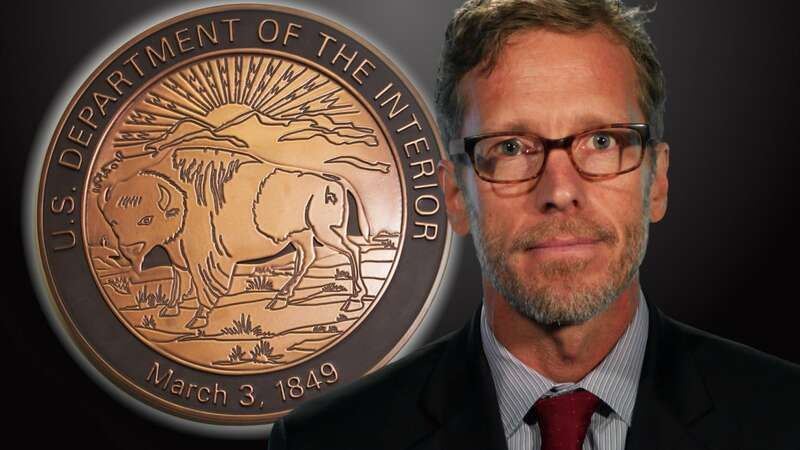 Joel Clement, a scientist at the Department of the Interior, has just joined the legions of people quitting the Trump administration and leaving toughly worded letters of resignation as they exit. Clement has worked at Interior for seven years. In his courageous letter of resignation, he cites three reasons for leaving: poor leadership—alluding to possibly illegal retaliation against whistleblowers, and to reassignment of employees to jobs where their expertise is irrelevant; waste of taxpayer dollars—a not-too-subtle reference to Zinke’s [and other Trump appointees’] use of privately chartered airplanes; and climate-change denial—calling Zinke, Trump and others “shackled to special interests such as oil, gas and mining,” and therefore not to be trusted with the nation’s natural resources. Dear Secretary Zinke, I hereby resign my position as Senior Advisor at the U.S. Department of the Interior (DOI). Poor Leadership. I blew the whistle on the Trump administration because I believe you unlawfully retaliated against me for disclosing the perilous impacts of climate change upon Alaska Native communities and for working to help get them out of harm’s way. The investigations into my whistleblower complaints are ongoing and I hope to prevail. Retaliating against civil servants for raising health and safety concerns is unlawful, but there are many more items to add to your resume of failure: You and President Trump have waged an all-out assault on the civil service by muzzling scientists and policy experts like myself; you conducted an arbitrary and sloppy review of our treasured National Monuments to score political points; your team has compromised tribal sovereignty by limiting programs meant to serve Indians and Alaska Natives; you are undercutting important work to protect the western sage grouse and its habitat; you eliminated a rule that prevented oil and gas interests from cheating taxpayers on royalty payments; you cancelled the moratorium on a failed coal leasing program that was also shortchanging taxpayers; and you even cancelled a study into the health risks of people living near mountaintop removal coal mines after rescinding a rule that would have protected their health. Waste of Taxpayer Dollars. My background is in science, policy, and climate change. You reassigned me to the Office of Natural Resources Revenue. My new colleagues were as surprised as I was by the involuntary reassignment to a job title with no duties in an office that specializes in auditing and dispersing fossil fuel royalty income. They acted in good faith to find a role for me, and I deeply appreciate their efforts. In the end, however, reassigning and training me as an auditor when I have no background in that field will involve an exorbitant amount of time and effort on the part of my colleagues, incur significant taxpayer expense, and create a situation in which these talented specialists are being led by someone without experience in their field. I choose to save them the trouble, save taxpayer dollars, and honor the organization by stepping away to find a role more suited to my skills. Secretary Zinke, you and your fellow high-flying Cabinet officials have demonstrated over and over that you are willing to waste taxpayer dollars, but I’m not. Climate Change Is Real and It’s Dangerous. I have highlighted the Alaska Native communities on the brink in the Arctic, but many other Americans are facing climate impacts head-on. Families in the path of devastating hurricanes, businesses in coastal communities experiencing frequent and severe flooding, fishermen pulling up empty nets due to warming seas, medical professionals working to understand new disease vectors, farming communities hit by floods of biblical proportions, and owners of forestlands laid waste by invasive insects. These are just a few of the impacts Americans face. If the Trump administration continues to try to silence experts in science, health and other fields, many more Americans, and the natural ecosystems upon which they depend, will be put at risk.